It's a sad truth for all Quiet fans out there and I hate to include spoiler material this early but you need to know this stuff now. I won't go into the exact story details but I will show you exactly how to prevent Quiet from leaving the game so you can continue enjoying her amazing skills and of course pleasurable appearance. If you don't want to be spoiled then please stop reading now and why are you still here? For the rest of you, here's the important things you need to know. 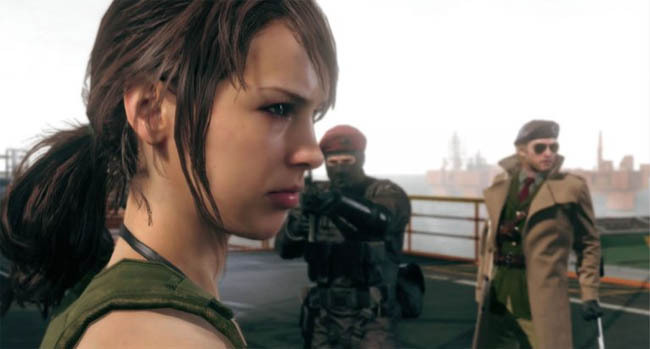 Having worked through the majority of the game with Quiet you need to be aware that she does eventually leave and there is NO way to keep her besides using this hidden secret. Follow the instructions below carefully and ensure you've got this in place before you go too far into the story. A chain of events is set in motion once you complete Mission 41. If you're bond level with her is maxed out then over the course of the next three missions she will gradually disappear. By Mission 43 she is gone and Side Op 150 is unlocked. Once all of these missions take place, it is then impossible to bring Quiet back to the game. There is a secret method to keep Quiet in the game and prevent this chain of events from occurring; you might say it locks the story down. The key to all of this is in the Emblem screen of the iDroid. You might not have played around with this screen that much but nows your chance before it's too late. Using Emblems you can customize your little badge; which appears in several places e.g. as the background on the pre-mission screen, during cutscenes etc.. The all important part is to customize the Front design and select the Butterfly image. The rest of the design such as wording and back image is entirely up to you. After customization, select the Ok button to save the emblem (do not simply back out of the screen). 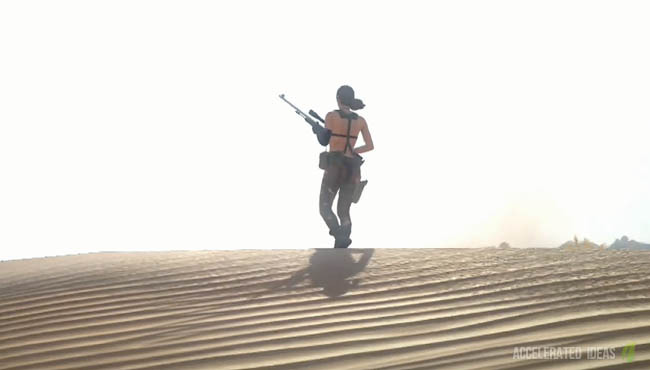 Once complete, you have safely locked Quiet's part in the storyline and she will be available to help you get some of those S ranks at a later time. 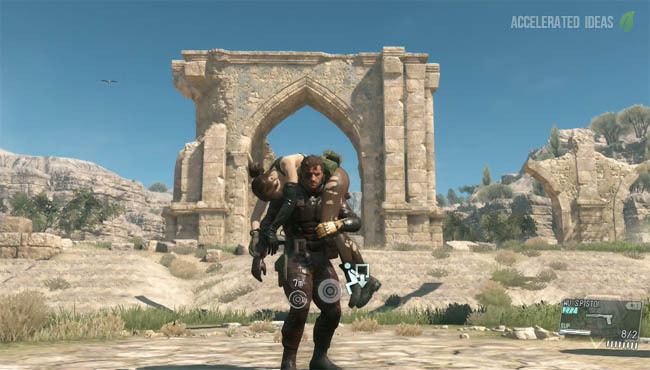 Of all the buddies in MGS 5 she is surely the one that'll help with unlocking the Raiden and Naked suits for Big Boss. 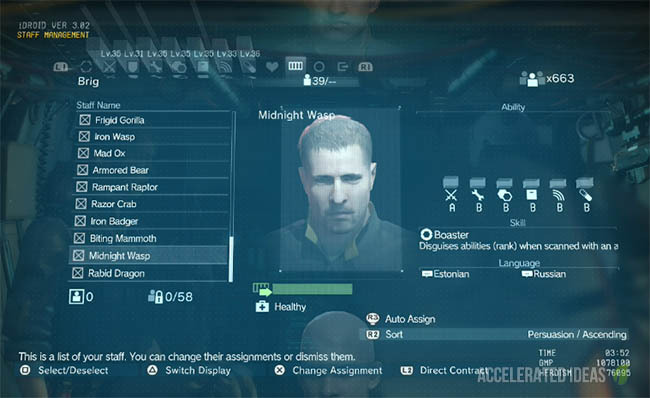 The Butterfly design is actually one of the unlock rewards for using Quiet during missions. It's all to do with the Codenames that you get at the end of a mission, shown on the score screen. You may have seen some of these animal names? To get the Butterfly codename you have to let Quiet do the majority of the shooting (lethal or otherwise). She simply has to neutralize more enemies that you. The hard part is that the codename which appears after a mission is actually based your performance in the last three missions - so you've got to consistently let Quiet do the shooting for a while. 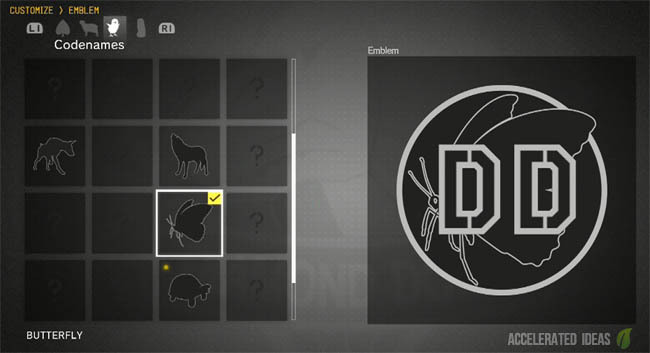 Once the codename appears you will automatically get the Butterfly design unlocked and selectable in the Emblem screen.